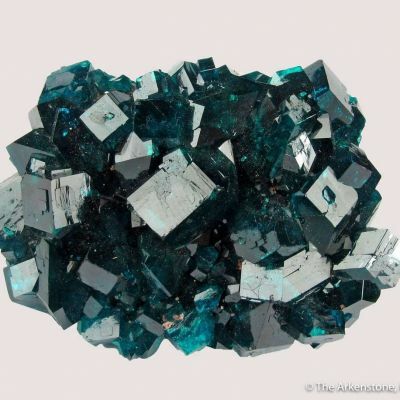 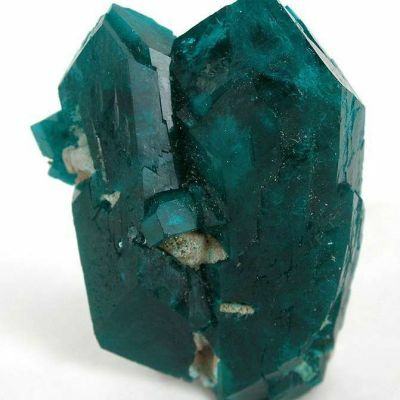 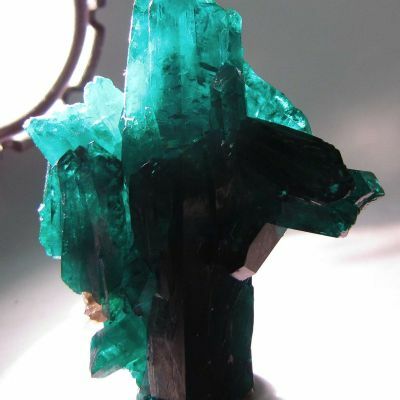 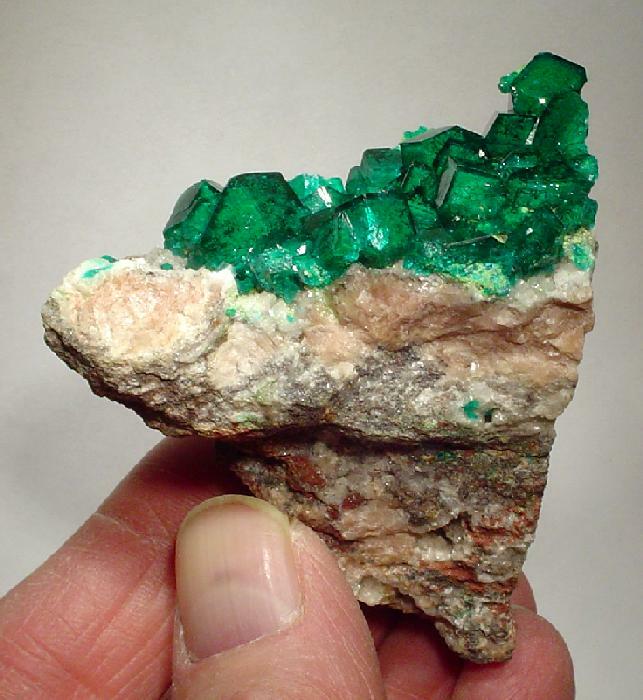 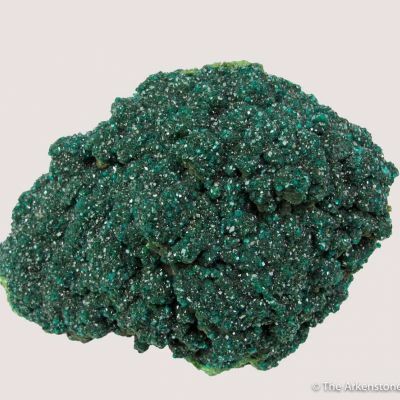 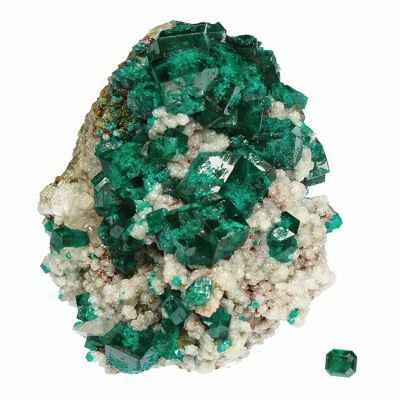 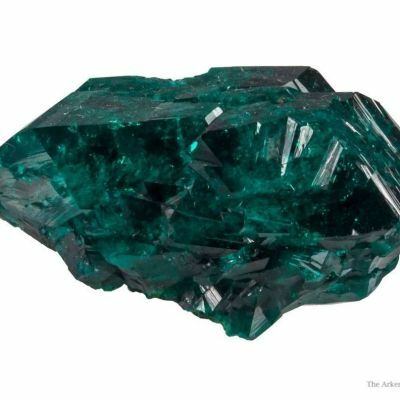 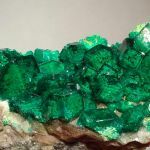 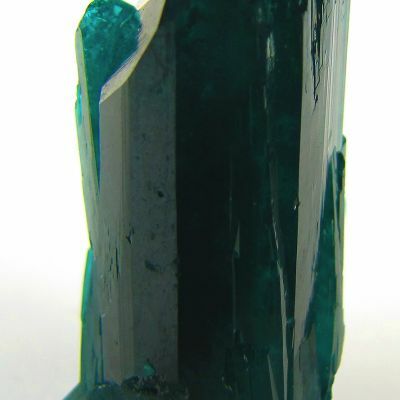 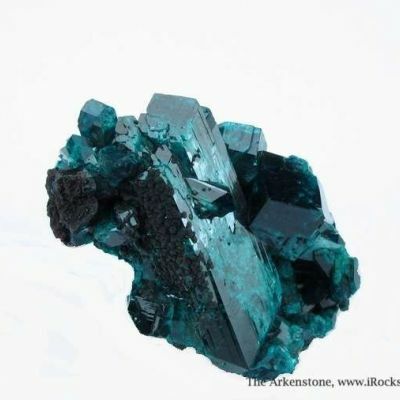 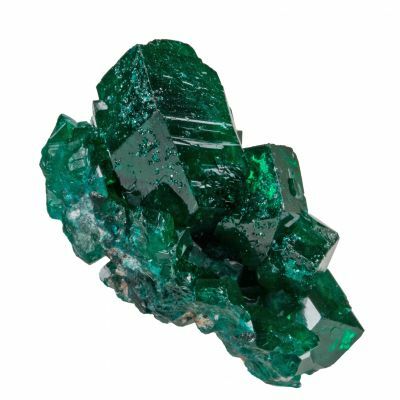 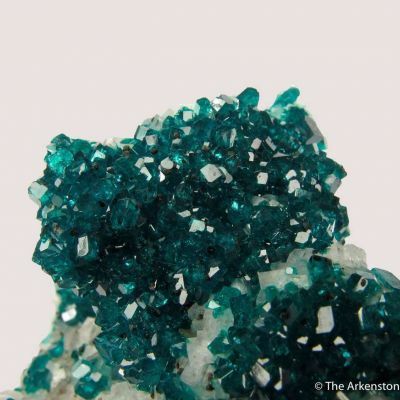 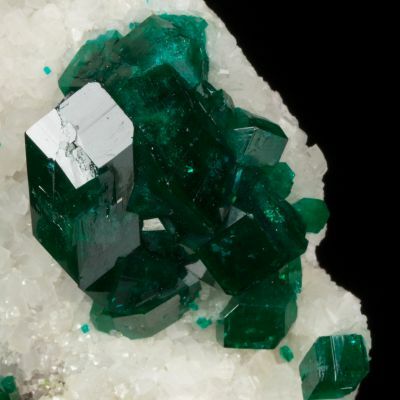 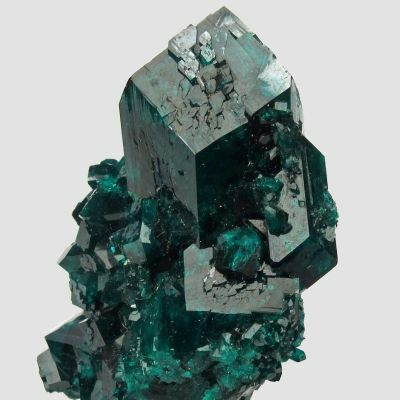 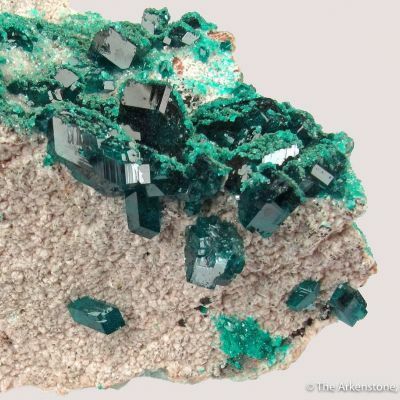 Riveting, highly lustrous, dark emerald-green dioptase crystals fill a very well-placed, 4.6 cm vug atop an aesthetic wedge-shaped matrix on this fine specimen from Tsumeb. 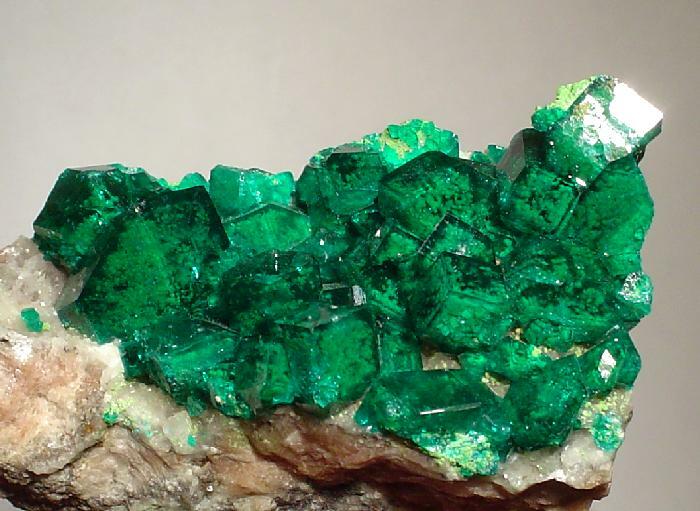 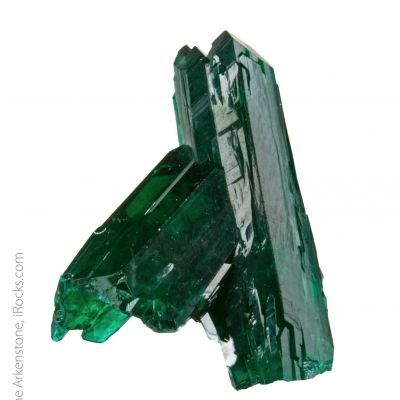 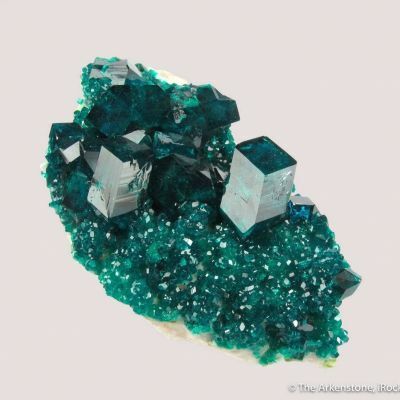 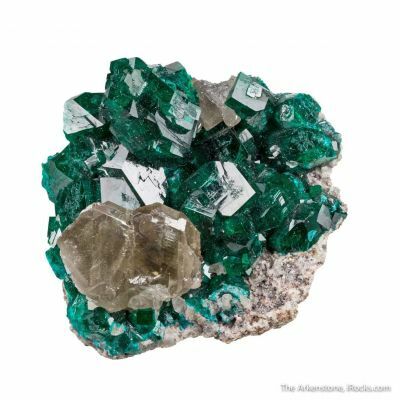 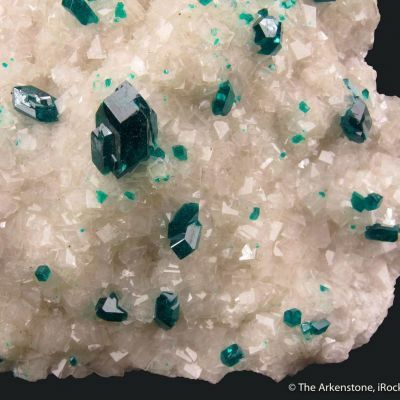 The crystals, to 1.3 cm, are very gemmy on the outer 1 mm, then become green-opaque in their interiors. 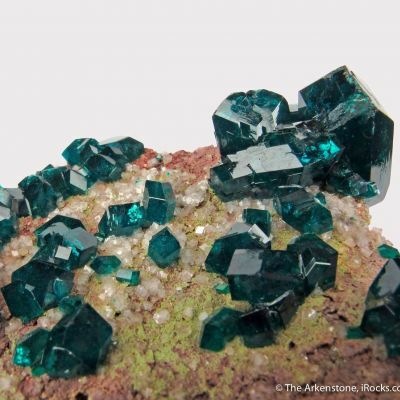 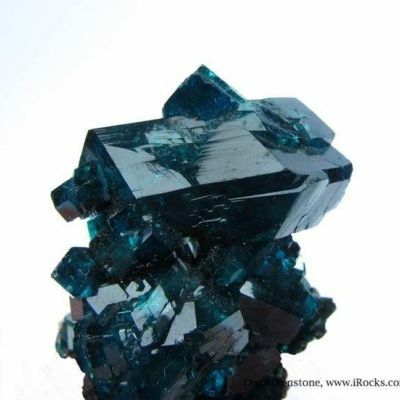 Striking and unusual crystals. 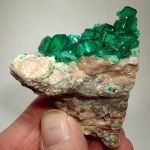 The bit of lighter green mottramite or duftite is a nice accent. 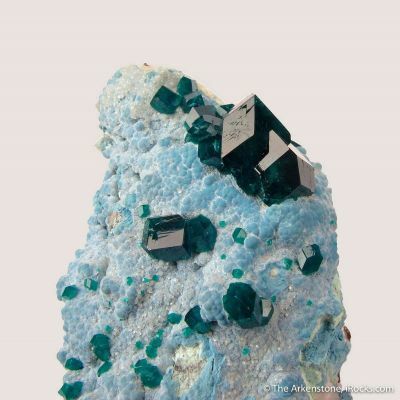 All of the crystals in the interior of this beautiful cluster are pristine.